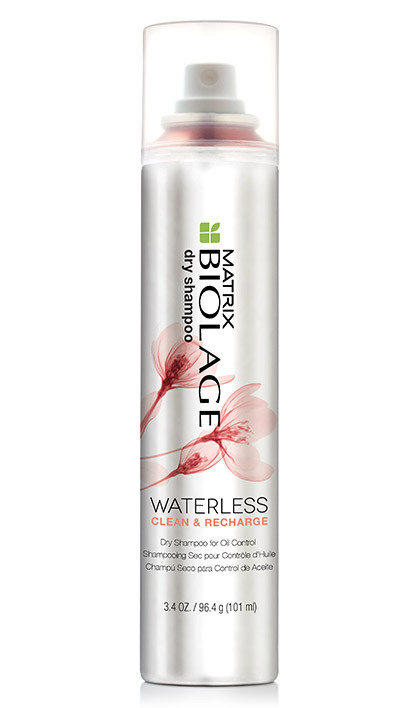 Waterless Dry Shampoo - Clean & Recharge is rated 3.3 out of 5 by 3. Always remember to apply on dry hair only. Shake it: shake well, spray evenly and don’t over-apply. Get to the root: spray directly onto roots. Divide and conquer: divide hair into small sections and spray underneath at the roots. Flip it: flip head upside down and gently massage into hair. Brush it: brush through hair to remove excess product. Rated 5 out of 5 by KatyaF from Smells amazing! This refreshes my hair, makes it smell wonderful, makes my hair feel silky, adds shine, and eliminates oily hair (I wash my hair every other day so I use it on the off days). Love it! Rated 4 out of 5 by JenJen from Works great This doesn't leave my hair feeling dirty like other products I have tried or white residue. It doesn't stink, but I'm not crazy about the smell. Rated 1 out of 5 by Courtney123 from Okay... I bought this product because my scalp is very oily, got told it won't leave that white powder look on your hair which is correct but as a hair stylist, I won't recommend this to any of my customers, because it doesn't seem to even work. It gives lovely volume and it smells great but my hair still looks greasy which is why I bought it to help make it not look greasy!